Whenever we are clearing an overgrown garden a robin generally appears. 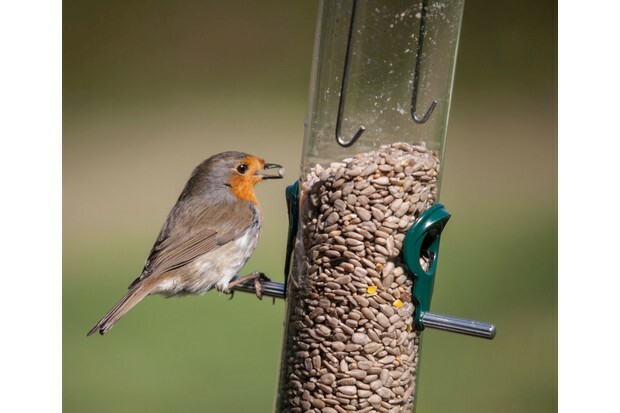 In Europe, the robin is a more timid bird than in Britain, where it regularly followers gardeners (especially when they’re digging) in the hope they might turn up a tasty worm. Back in continental Europe, the robin has been observed following wild boar, which also dig the soil in search of tubers and roots. No doubt, the Forest of Dean robins are doing the same with the growing population of wild boar there. The robin became Britain’s bird of Christmas largely because Victorian postmen, who wore a red tunic, were known as robin redbreasts. 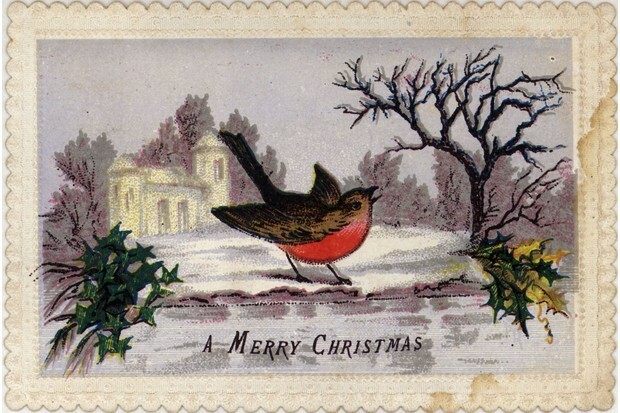 Robins began to appear on Christmas cards and other festive missives as a symbol of the red breasted messenger. Robins are fairly broadminded in their choice of food, but like all small birds in winter, obtaining energy is the key. So, put out a range of high-value seeds (kibbled sunflower hearts are ideal), scattered on a bird table or in a bird feeder. Also, you could put out balls of fat or ‘bird cake’ – a rich mixture of fat and seeds. Mealworms are a real treat for them too, it's a good idea to place them in a smooth-sided bowl so that they can’t escape. Winter is a good time to put up nest boxes for Robins. They need open-fronted ones that are hidden away behind foliage or climbing plants so that they don’t attract the attention of cats. Even if you can just put a little feed out in the garden for our festive friends, it will help their population over winter so they can continue to keep our gardens bright with their orange flame through the dreary winter months. If you'd like to receive our seasonal updates full of great grounds maintenance and garden tips like this, sign up to our newsletter here.